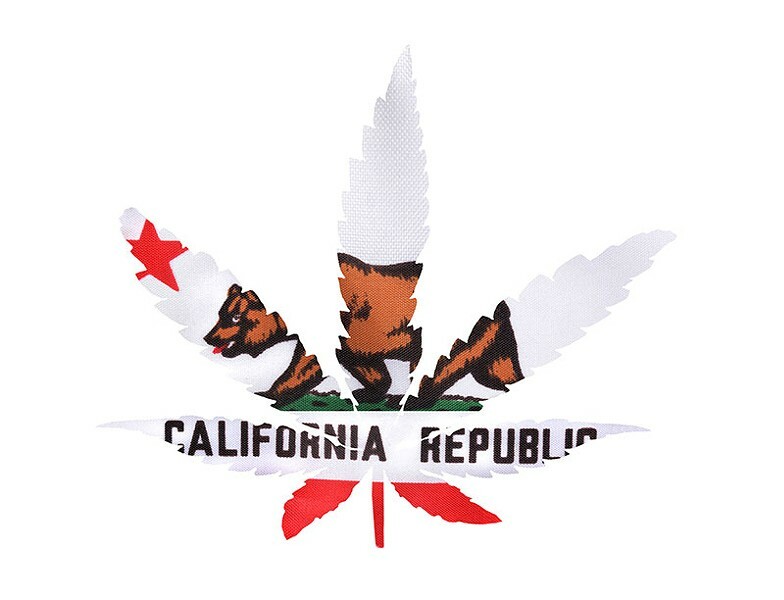 PIPE DREAMS It's been a real bear of a legislative session when it comes to cannabis in California. It's been a mixed legislative bag for supporters of Proposition 64 this year, as the California State Legislature is poised to close out its summer session. Numerous pot-related bills were presented over the session this year, angling in various ways to enhance, trim or otherwise square up the various potholes and complexities that came along with the 2016 Adult Use of Marijuana Act and pre-existing medical-marijuana law. As the smoke settles, there are a handful of cannabis-related bills that have passed out of committee and are now headed to the State Senate and Assembly for full votes. The final day for each house to pass a bill and send it to Gov. Jerry Brown is Aug. 31. And numerous bills are stalled in committee and won't get a vote until next year—if at all. For the California Growers Association (CGA), which represents the state's smaller-scale cannabis cultivators and businesses in Sacramento, the session was a disappointment in that the lobbying group's main legislative thrust, AB 2641—which proposed to open new opportunities for cannabis sales directly from producer to consumer—was undone by pressure from lobbyists representing the so-called forces of Big Bud. But the CGA did report some good news afoot in the land of the legislators. Here are the bills still alive as of this week—and soon headed to a vote in the Senate and Assembly in anticipation of the signature from Gov. Jerry Brown. Senate Bill 311 California legalized medical-cannabis use in 1996 with Proposition 215 and adult recreational use in 2016 with Proposition 64. Given the state's penchant for regulation-met-with-freedom, cannabis production has remained heavily regulated at every level of production and distribution. Heavy regulations have separated the industry into cultivation, production and distribution since the commodity was legalized for recreational sales. Senate Bill 311, which amends the state's Business and Professions Code, seeks to relax regulations on distribution by making it easier for distributors to transport cannabis to other distributors and retailers. The bill was supported by the CGA, among other legal-weed lobbyists. The bill redefines the steps cultivators and distributors must take before transporting their product, which include laboratory testing and quality assurance reviews by uninterested parties. It also expands the ability of the Bureau of Cannabis Control to review distributors' tax payments and records, and to investigate when they fail to comply. Under the bill, immature seeds and plants would be exempt from the transportation guidelines. Status: Headed for a vote before the full Senate and Assembly on or before Aug. 31. Senate Bill 1294 The Adult Use of Marijuana Act (AUMA) was included as part of the law's intent the "[reduction] of barriers to entry in the legal, regulated market," according to the Legislative Counsel's Digest. That's been a thorny ride for legacy growers who were encouraged to come out of the proverbial shadows with their boutique strains of tasty, healthy buds—only to be met with no real incentive to do so, given, among other factors, that 80 percent of cannabis grown in California heads out of the state as black market product. And the AUMA failed to account for disproportionate law-enforcement impacts on California communities such as Oakland. Senate Bill 1294 would enact the Cannabis Collaboration and Inclusion Act, which aims to include communities negatively affected by cannabis criminalization in the legal marketplace. The bill acknowledges that communities with high levels of poverty, especially those of color, have been disproportionately affected by prohibition and over-incarceration, and similarly face difficulty entering the multi-billion dollar industry legally. Cannabis cultivators, manufacturers and distributors face a costly and difficult-to-navigate multi-tiered application process that excludes many who would otherwise join. By establishing local equity programs that would waive local and state fees while providing technical, regulatory and capital assistance, SB 1294 would direct the Bureau of Cannabis Control to assist economically disadvantaged Californians as they enter the industry. Status: Passed out of committee and headed to a full vote before the Senate and Assembly. Senate Bill 829 Nobody's kidding themselves that the tax regime that came along with Proposition 64 is, to say the least, pretty stiff. Under the legalization scheme enacted in 2016, the state, counties and cities currently tax the distribution of any cannabis product at 15 percent of the average market value. Senate Bill 829 sets out to establish a "compassion-care license," which would exempt from state and local taxes any cannabis or cannabis products donated to patients with a physician's recommendation for medical purposes. All cannabis used for this purpose would be exempted from taxes for cultivation, storage and distribution established by the AUMA. The state would not reimburse municipalities for the lost tax revenues. But cities are free to create their own cannabis taxation schemes under the AUMA, to cover, for instance, the costs of additional law enforcement. The bill is supported by the likes of the CGA and other pro-pot folks with an eye toward tax equity. Status: Headed to a vote before the Senate and Assembly. Assembly Bill 1863 California's cannabis industry would sidestep any interactions with the federal tax code should this bill pass. This bill sets out to amend California's Revenue and Taxation Code, which, under existing law, conforms to the federal tax code and prohibits those in the cannabis industry from deducting business expenses from income on their state taxes. Assembly Bill 1863 loosens those restrictions for cannabis businesses. Status: Passed out of committee, and headed for a full vote before the Senate and Assembly. Senate Bill 1409 Despite having the drug potency of a banana peel, hemp is a heavily regulated industry in itself. The seeds and fibers of the plant can be used for anything from dietary supplements to making paper, to creating a hair-piece for Sen. Mitch McConnell, who hates pot, Obama and liberals, but has embraced hemp production in his wet-brain home state of Kentucky. Closer to home, SB 1409 would ease current California regulations on hemp production by removing the requirement that hemp be grown from seed cultivars on a list approved in 2013. It would also allow the use of clonal propagation to reproduce the plants. The bill would also push the registration and renewal fees required by hemp producers to delegated county officials, who would use the fees to fund implementation of the regulations. The bill also declassifies the plant as either a fiber or oilseed product, and applications would not need to specify their product as either (or both). Senate Bill 930 would have created cannabis-limited charter banks and credit unions to provide banking and financial services for the industry. The upshot: it's way too soon for this, especially when Wells Fargo just shut down the bank account of a medical-pot-supporting Democrat running for Congress in Florida who said she'd take money from the cannabis industry. Looks like there's a ways to go on the banking-and-empathy front. Assembly Bill 924 would have required cannabis producers on tribal land, which is protected by federal law, to enter an agreement with the governor and establish a tribal cannabis regulatory commission. The idea was similar to the drive behind SB 1294's push to include minority communities in the cannabis boom. Assembly Bill 2641 was the biggest and most disappointing defeat for the CGA, says executive director Hezekiah Allen. Under strict regulations, it would have allowed cannabis cultivators to apply for a temporary state license to sell cannabis to person 21 years and older at events—cannabis-related fairs, farmers markets and the like. "Despite several rounds of amendments that removed opposition from the United Food and Commercial Workers," says Allen, "the United Cannabis Business Association remained in opposition and successfully killed the bill. It kind of breaks my heart that for the next year at least the people who make the products won't be able to sell directly to the people who love the product." Allen vows that direct marketing will be a big priority for the CGA in coming years.